3 level home in a cheerful, connected pocket of Commercial Drive. Covered front porch with views out to beloved McSpadden Park. 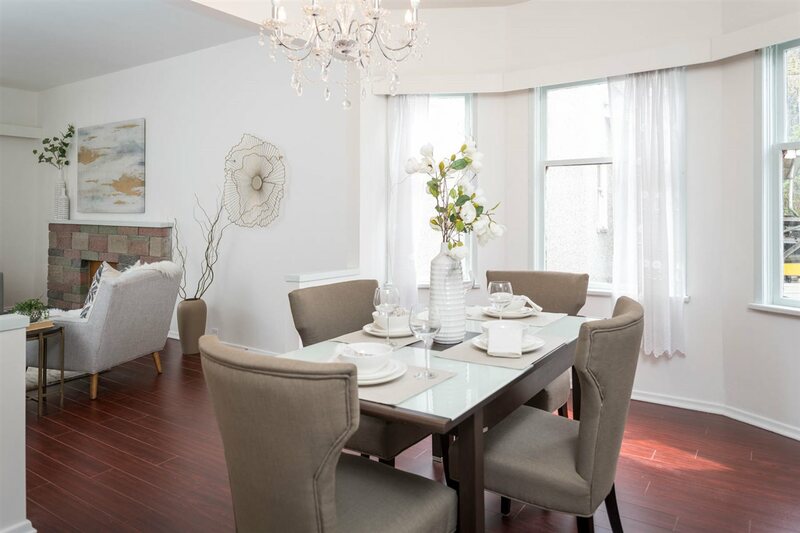 Spacious main floor is complimented by a grand staircase, large foyer, high ceilings & a formal dining room with bay windows – great for big dinners. 3 bedrooms & bath with vintage water closet on the super bright upper level. The lower level has good height and separate entry = suite potential! Fenced backyard overlooking brightly colored character homes of the community. Next to a great school & dog park, lined in tennis courts, gardens & cherry blossoms. A short stroll to the Skytrain and some of the city’s best coffee, pizza & fresh market groceries. Come be a part of a vibrant community with a bright future! Check out all of the details of this home for sale, 1823 EAST 4TH AVENUE in Commercial Drive.